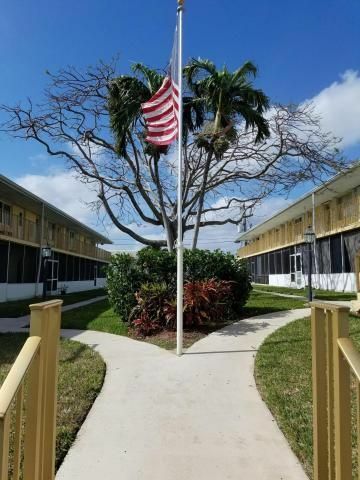 All MARANATHA APTS INC homes currently listed for sale in Boca Raton as of 04/21/2019 are shown below. You can change the search criteria at any time by pressing the 'Change Search' button below. "Lovely East Boca Location ~ Corner Unit on Ground Level in this 55+ Community offers Owners the Perfect Escape from Winter or the Perfect South Florida Lifestyle Year Round~ Maranatha is located close to Beautiful Downtown Area including the Beach and Mizner Park,Boca Community Center & Library, Art Museum, Restaurants and Houses of Worship~ Ground Level Corner Unit is Completely Furnished~ Hurricane Shutters Private Screened in Patio~ Assigned Parking Space for Owners and Open Guest Parking~ Truly Maintenance Free Living~ Welocme Home To Maranatha"